Turn To Better Driving - 1950's road safety. Homepage. 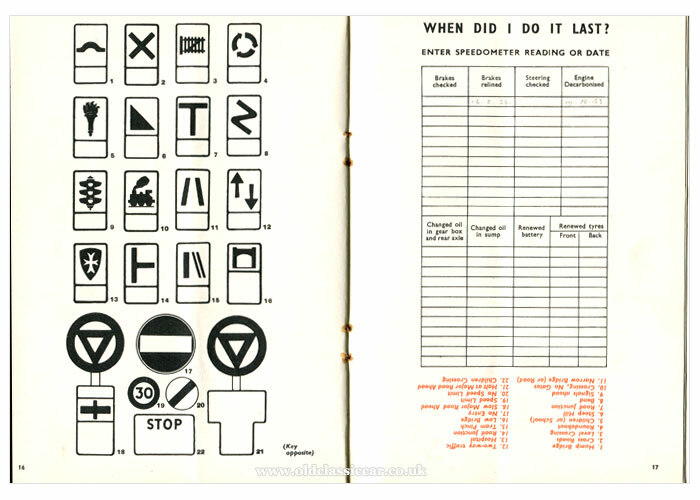 This page: A book of driving-related hints printed in the early 1950s. Published by RoSPA & issued by Ford. 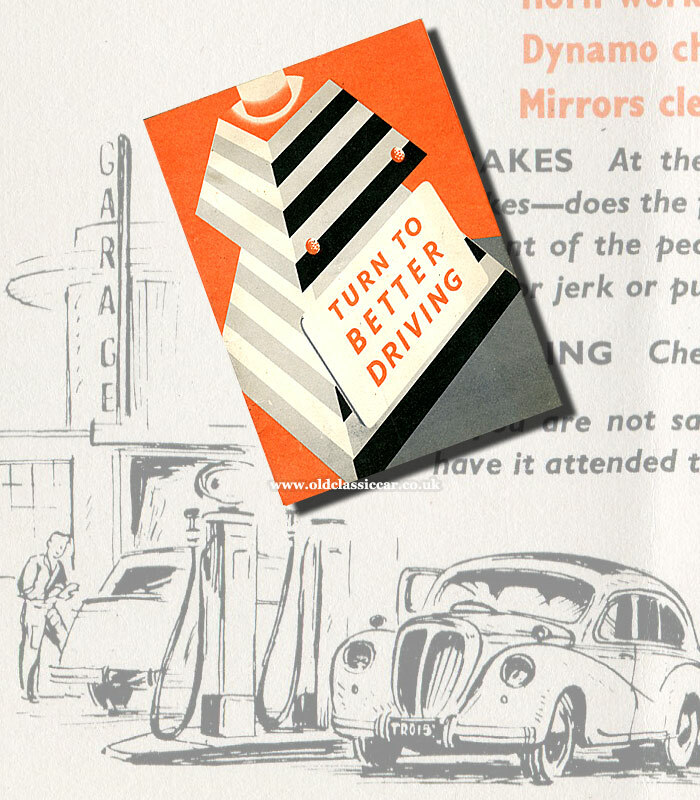 This second edition of "Turn To Better Driving" was printed in 1954. A RoSPA (Royal Society for the Prevention of Accidents) publication, it was presented by the Ford Motor Company Ltd "in the interests of better driving". Whether other car manufacturers also issued copies of the same booklet to its customers, I'm not sure, all the illustrations within its pages are of fairly generic 1950's designs, so it may well have been offered to Austin, Morris, Hillman etc as well as Ford. Who knows? What I am sure of is that an updated copy of this might well be worth sending to every motorist on the roads now, as a reminder of what should - and should not - take place while in the control and ownership of any vehicle. Whose mental approach to the art of driving is to maintain an accident-free record." Following on from several pages of handy hints with regard to safe considerate motoring, is a page of road signs, drawn in such a way to act as a quiz to test the memory and knowledge of the reader. Some of the illustrations are not that dissimilar to signs on 21st Century roads, whereas others will look decidely alien to anyone who has passed their test in recent years. Opposite the quiz is an area where the booklet's owner can record key jobs that they've undertaken on their car. Whoever owned this copy has noted down that they had recently re-lined their car's brakes, and in October 1953 had de-carbonised their car's engine, but nothing more. Given that this copy was given to a Ford owner, possible car candidates for this engine work include Ford's upright 103E Popular, the four-door and identically-powered 1172cc E493A Prefect, the larger Consul, or the well-appointed Zephyr Zodiac. De-carb jobs on any of these cars would have been bread-and-butter work for all garages in the 1950s. Other items on OCC relating to road safety awareness. A number of items in this section of the site relate to road safety, either aimed at motorists or instead pedestrians, children in particular. This page for example features a RoSPA safe-driving certificate awarded to a gent in 1949. Pages concerning items aimed at raising awareness of road safety issues for children, include a set of amusing Mickey Mouse hankerchiefs(!) and a book issued by the OXO company.